With the runaway sales success of the front wheel drive Morris Mini Minor / Austin Mini it is not surprising to learn that the British Motor Corporation (BMC) looked at building roadster sports versions of the Mini to be marketed under BMC’s sporty brands MG and Austin Healey. Today’s featured concept vehicle was devised under the project code ADO34 between 1960 and 1964. The car was built with two Mini sub frames and powered by a 1275 cc / 77.8 cui Mini Cooper S engine. 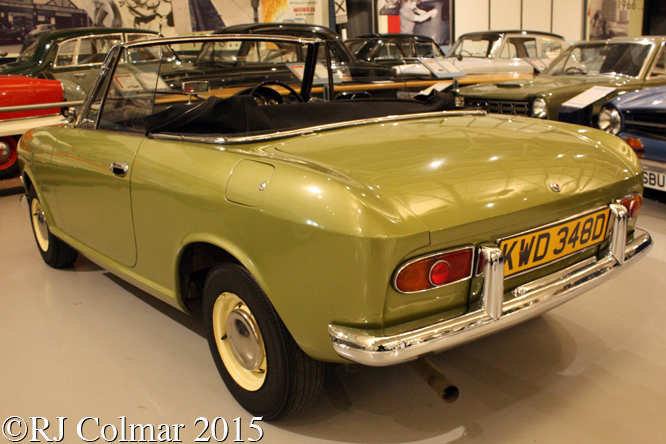 The cabriolet body was designed, built and fitted by Pininfarina in Italy. 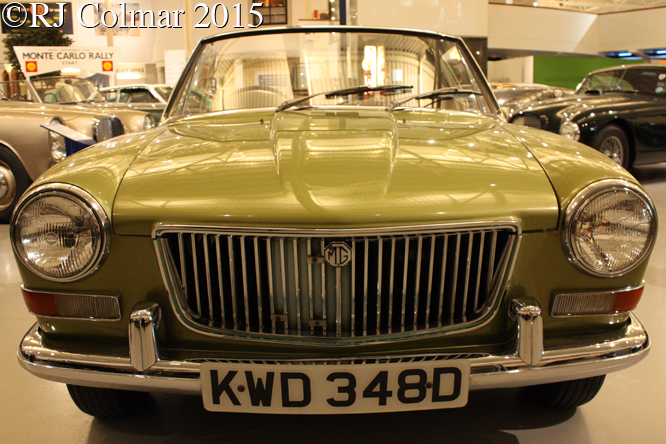 Alongside today’s featured ADO34 known as the Longbridge version distinguished by it’s rounded rear wheel arches MG at Abingdon also styled an ADO34 closer to the MG B at the front with rear arches closely resembling the MG Midget with a almost horizontal edge along the top of the wheel. 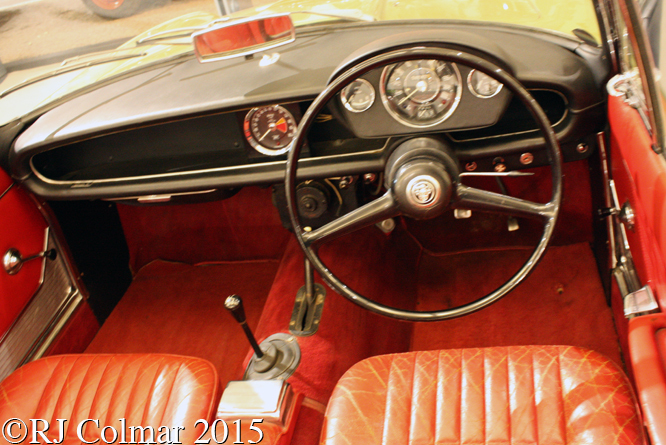 A coupé concept version was also built under the project code ADO35, while the Austin Healey concept version was built with the project code ADO36, none of which went into production. 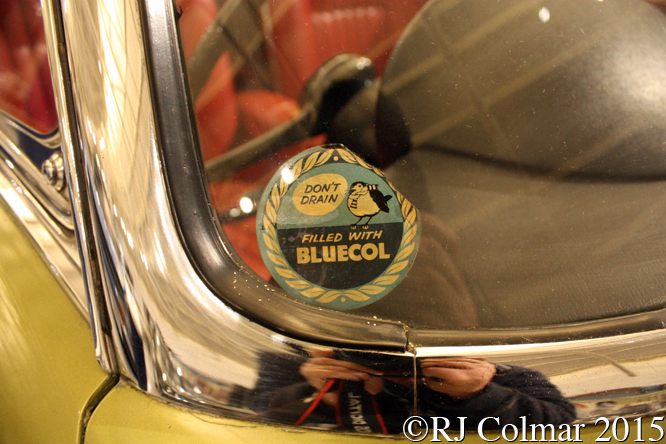 This particular vehicle seen at the British Motor Museum, Gaydon, was registered on the road for sixth months as a 1966 model from March 7th 1990. Thanks for joining me on this “Mini Midget” edition of “Gettin’ a li’l psycho on tyres” I hope you will join me again for Mercedes Monday tomorrow. Don’t forget to come back now ! 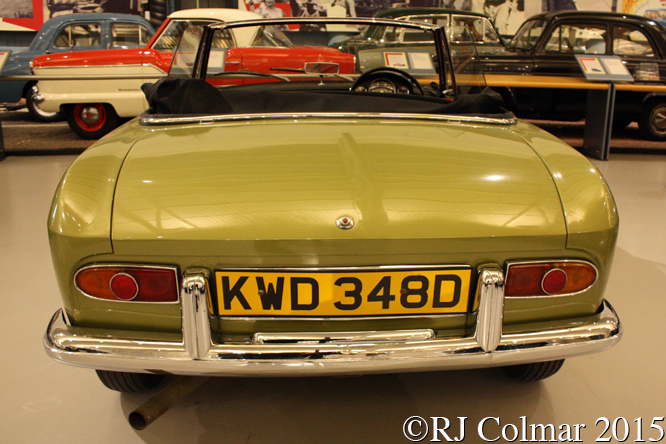 This entry was posted in Uncategorized and tagged ADO34, BMC, British, Colmar, Concept, Gaydon, Longbridge, MG, Mini, Motor, Museum, Pininfarina, Psychoontyres, Ralph on March 6, 2016 by Ralph. 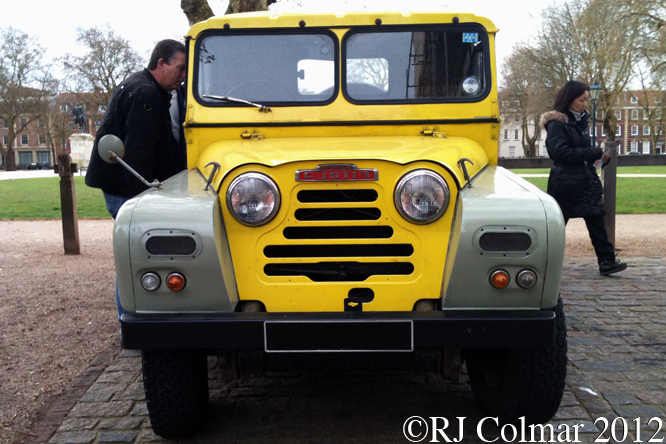 While Britain’s Land Rover is a brand with a global reputation it is often forgotten that, ten years after the introduction of the Land Rover Series 1, Austin launched a vehicle that had similar capabilities with the intention of grabbing a share of the civilian off road market in 1958. The Gipsey was a slightly larger steel bodied all wheel drive that although slightly heavier than the aluminium bodied Land Rover had an Austin A70 Hereford based petrol motor engine which produced 62hp and a 55hp diesel variation, both more powerful than the Land Rover equivalents which meant the Gipsey had both better performance and better economy that the Land Rover Series 2 launched in 1958. 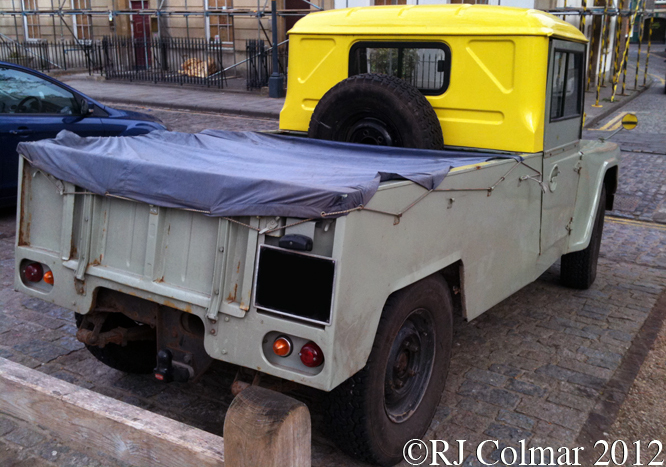 Mk 1 Gipsies were available with 90 inch wheel bases only as against 88 inches for the Land Rover. In 1960 when production moved from Longbridge to Aldderley Park in Birmingham Mk2 versions were also built with 110 inch wheel base options to better Land Rovers 109 inch wheel base. The Austin Gipsey never did get the foothold in the worlds all wheel drive markets that were anticipated, the better performance was let down by the steel bodywork which both rusted more readily and was more difficult to replace than the aluminium panels fitted to Land Rovers. 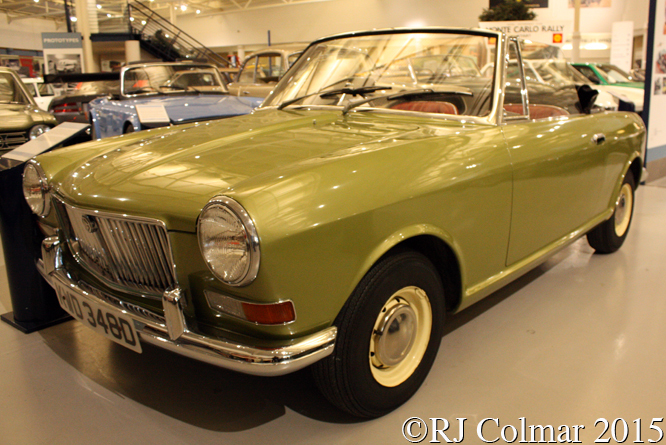 In 1968 British Motor Corporation owners of Austin merged with Leyland owners of Rover/Land Rover but Austin Gipsey production had already ceased the year before with just 21,208 vehicles of three series produced. The vehicle seen here at an Avenue Drivers Club meeting in Bristol last year is a 1962 Long Wheel Base petrol powered Series 2 Gipsey. Thanks for join me on this “Britain’s Other Offroader” edition of “Gettin’ a li’l psycho on tyres” I hope you will join me again tomorrow. Don’t forget to come back now. 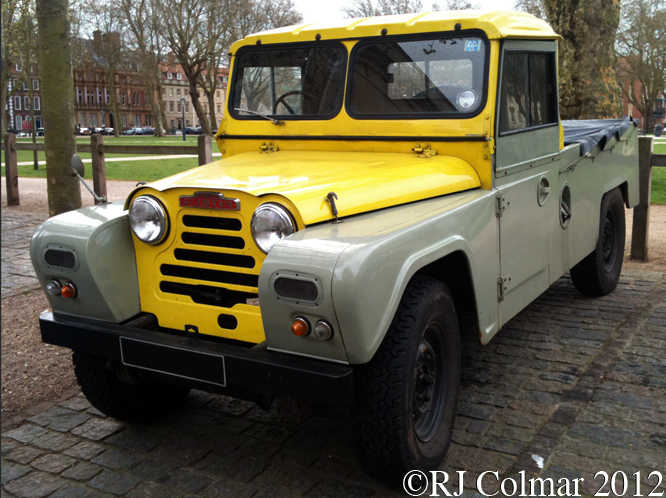 This entry was posted in Uncategorized and tagged A70, Aldderley Park, Austin, Avenue Drivers Club, Birmingham, Bristol, Colmar, GALPOT, Gipsey, Hereford, Land Rover, Longbridge, MK2, Queen Square, Ralph on May 13, 2013 by Ralph. 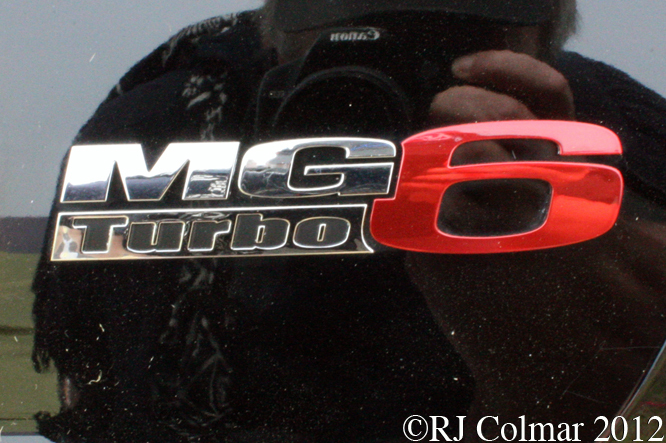 The MG6 was announced by SIAC Motor, owners of the MG brand and much of the MG production facilities, which have been shipped from Longbridge, England to Pukou, Nanjing, China, in 2009. 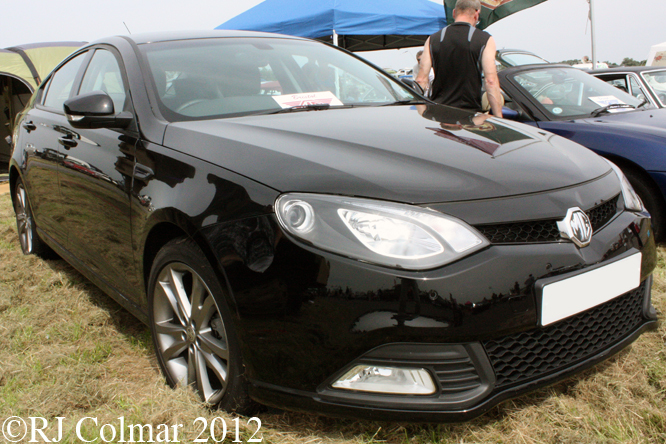 Apart from sharing it’s front sub frame with the Rover 75 and MG ZT the MG6 design is a restyled version of the Roewe 550, the latter which is confusing rebadged as the MG 550 in Chile and is based on the MG Rover RDX60 project which was being developed when MG Rover went bankrupt in 2005. In China two power units were initially available normally aspirated 133 hp and turbocharged 158 hp, in Britain only the 158 hp was initially available until a couple of weeks ago a 148 hp diesel was announced with vehicles already entering the UK dealership network. 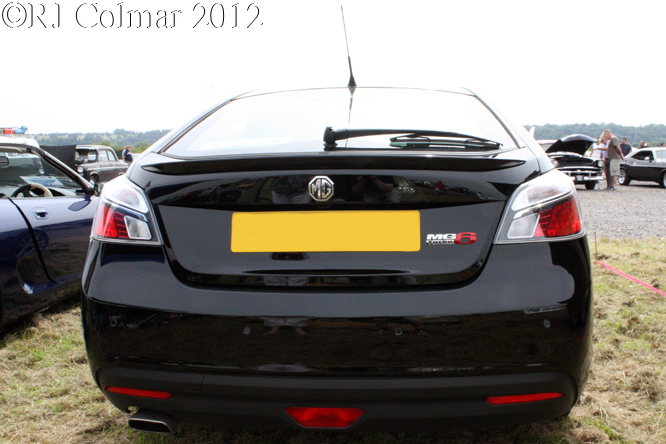 Both the Stying and Engineering for the MG6 was carried out at the MG Motor UK Technical Centre in the UK. Initially only the hatchback ‘GT’ body style was available but this has been joined by a conventional saloon / sedan known at the MG Magnette. 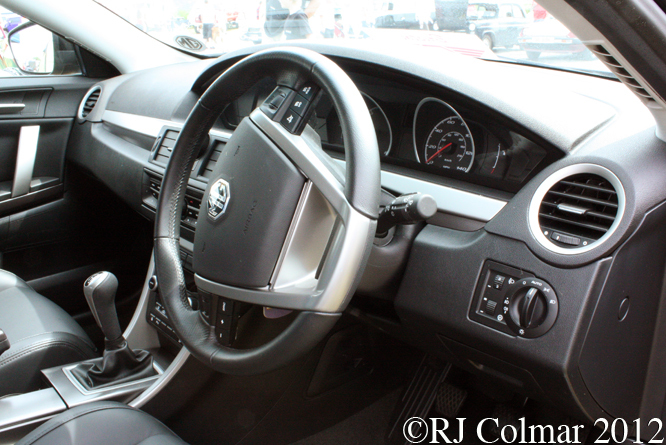 The 2011 car seen here has the top of the range TSE trim option which includes 18″ alloy wheels instead of the standard 17″ items. All MG6’s for the UK market are assembled from partial knockdown kits (PKD) at Longbridge in Birmingham where the last of the MG Rovers were built prior to the companies collapse. 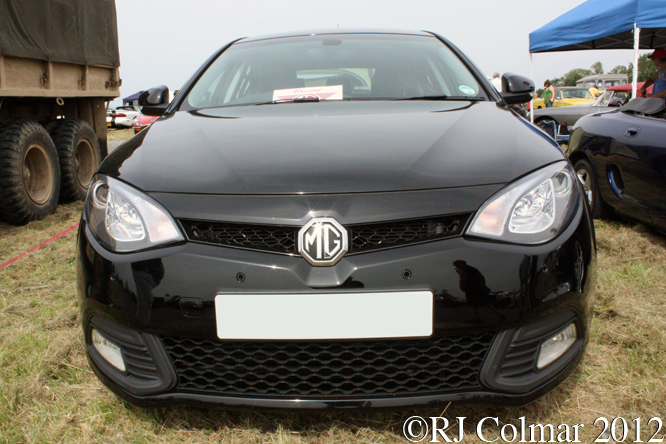 It will be interesting to see how the MG Marque fares over the coming years, concepts for a smaller hatch back MG5 and super mini MG3 have already been made public and it obvious that SIAC are looking to build a long term future for the MG marque. Wishing all GALPOT Readers and Contributors all the best in the year ahead ! Thanks for joining me on this “Turbo PKD” edition of “Gettin’ a li’l psycho on tyres” I hope you will join me again tomorrow. Don’t forget to come back now ! 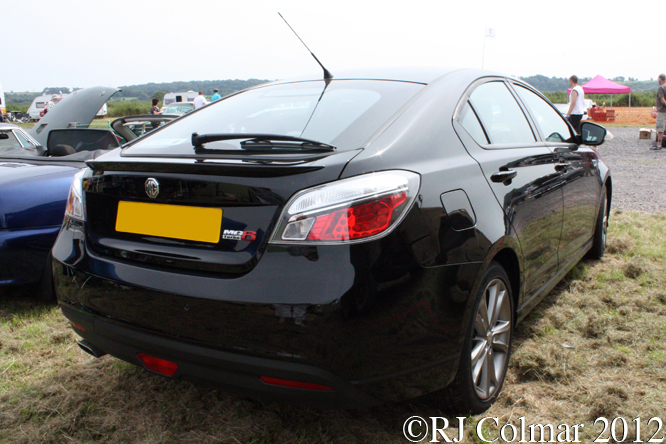 This entry was posted in Uncategorized and tagged 75, Car, Classic, Colmar, Compton, Easter, GALPOT, GT, Hatchback, Longbridge, MG6, PKD, Ralph, Roewe 550, Rover, SIAC Motor, Summer, TSE, Turbo, ZT on January 1, 2013 by Ralph.